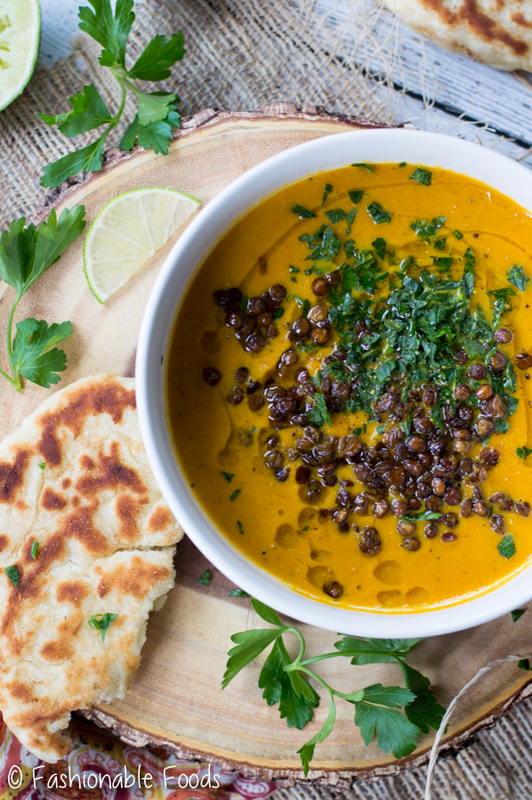 Vegan roasted carrot soup is full of warm Indian spices making it the perfect way to warm up on a chilly fall day. 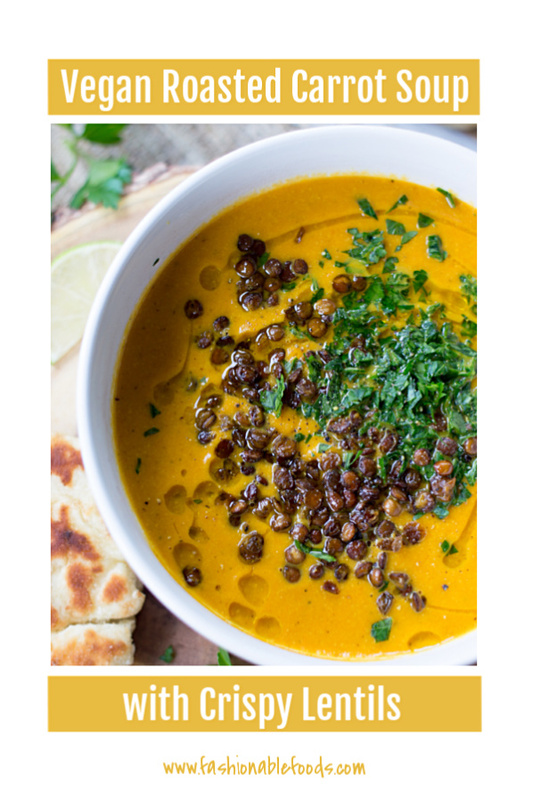 Topped with crispy lentils and served with naan bread for dipping, this tasty soup is sure to please. It would also make a delicious starter to your Thanksgiving meal! Can you believe Thanksgiving is NEXT WEEK?! Where the heck did September and October go? Are you ready for Thanksgiving? 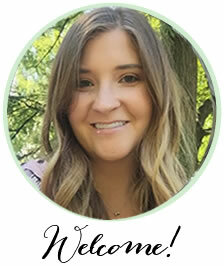 Have your menu planned? 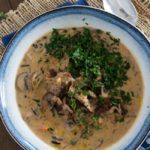 Ok, let’s jump into this delicious fall soup! Who serves appetizers with their Thanksgiving dinner? Anyone? We never have any because there’s always so much food that they aren’t needed. However, if you have a big crowd you may want to have a few on your menu. I personally love the idea of a slow holiday meal chock full of multiple courses, but time never allows for that around here! If I had my perfect day, though, I’d start with a nice soup because… well, I just love soup. I’m seriously obsessed with this soup. 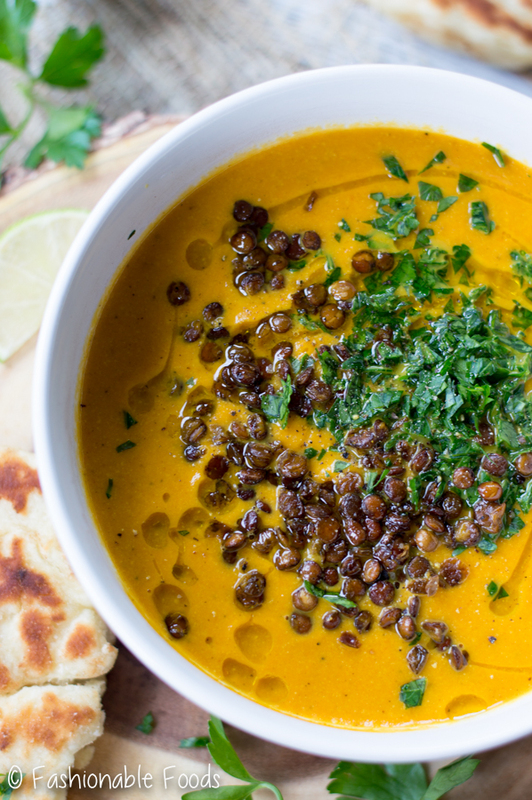 We’ve got sweet roasted carrots full of warm Indian spices, pureed with cashews for creaminess, and topped with lots of fresh parsley and crispy lentils. So fancy, yet all of the components can be made completely ahead of time! It’s vegan! If you have any vegan or vegetarian guests this can act as a main course since it’s filling and satisfying since there’s cashews for healthy fats and the lentils add protein. I certainly wouldn’t be sad if I were served this soup as the main event! Versatility. Like I said before, it can be a main course or an appetizer depending on the amount you serve. Plus you can make each component a few days ahead. You can also use a different vegetable if you want. Butternut squash (or any winter squash) or cauliflower would be great in place of the carrots. Don’t let the time to make this dish deter you. It’s mostly hands-off time since the oven does a lot of the work. The actual hands-on time is only about 30 minutes which involves making the lentils and chopping the veggies. One thing is for sure, your house will smell heavenly. 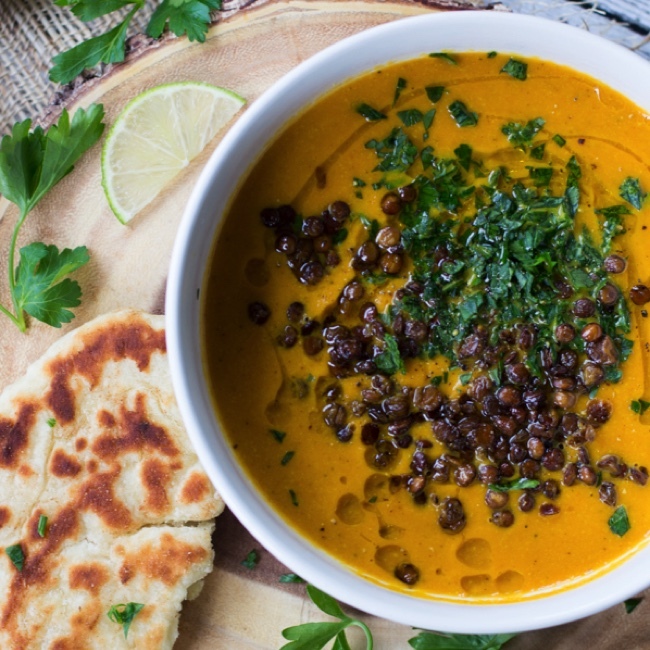 And you’re going to LOVE the textures going on in this vegan roasted carrot soup. 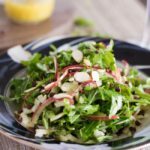 It’s super creamy thanks to those cashews and then you get the perfect crunch from the crispy lentils. The pile of fresh parsley on top adds a wonderful freshness and makes the soup look so darn pretty. Add the dry lentils to a fine mesh strainer and rinse them well. Combine the lentils in a medium pot with 1 ½ cups water and bring to a boil. Reduce the heat to a simmer and cook until the lentils are tender, about 25 minutes. Drain and rinse the lentils with cold water and lay them out on paper towels to pat dry. Toss the lentils on a baking sheet with a drizzle of oil and a pinch of each of the spices. Once coated well, roast the lentils for 20-25 minutes, stirring halfway through. Allow lentils to cool completely (they will crisp up even more as they cool). In a small bowl, combine the salt, pepper, curry powder, coriander, cumin, and turmeric. 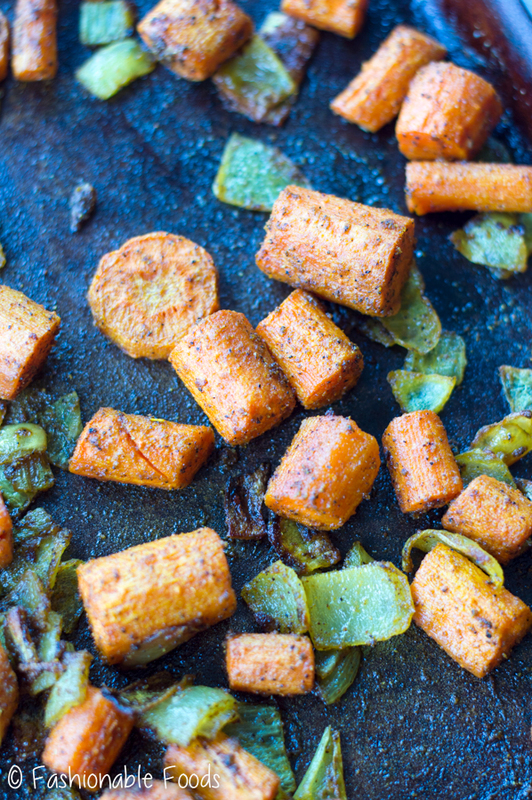 On a baking sheet, toss the carrots, onions, and garlic with a few drizzles of olive oil and the spice mixture. Roast the vegetables for 30-35 minutes, or until golden brown and tender, rotating and stirring halfway through. Once the vegetables are done, remove them from the oven and transfer them to a soup pot along with the ginger, cashews, and water. 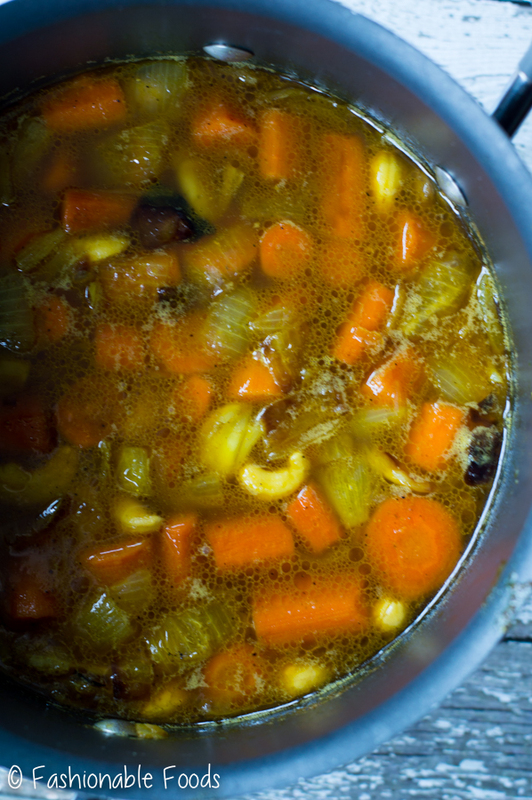 Bring the soup to a simmer and cook until the vegetables are fall apart tender, about 15-20 minutes. Blend the soup carefully using an immersion blender (or regular blender or food processor). 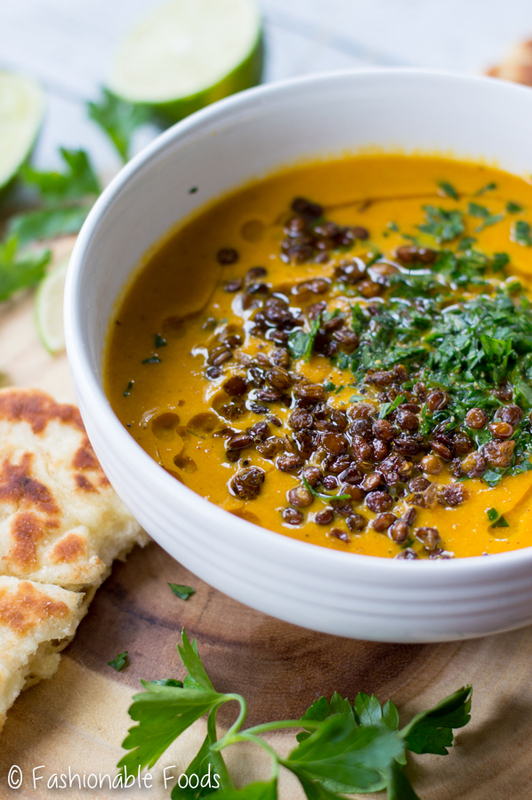 Finish the soup off with a squeeze of lime (and taste for seasoning) and top each serving with a handful of chopped parsley, crispy lentils, and a drizzle of olive oil. I also love serving fresh homemade naan bread alongside for dipping! *I love making homemade Naan, but you can find good quality store-bought varieties. However, if you want to keep this meal vegan, you’ll want to make sure and read your labels as Naan is typically not vegan. There are LOTS of homemade vegan Naan recipes out there, though!